We’ve been waiting for Google Pixel launch from a very long time and now when the unveiling of Google pixel launch just around the corner we got to know Google has also a Golden Pixel Variant in the upcoming Google Pixel launch. Russian site Rozetked has shared some very appealing renders of Google’s next-gen handsets which, while in alignment with what we’ve seen so far, offer a few different perspectives and angles. While new Golden Variant looks more than stunning. The Golden Pixel variant comes as a Surprise to us as we have already seen black, Silver and white but Golden, which came just like out of Syllabus but we like to mention that what you see in the gallery is just the view of a talented artist. 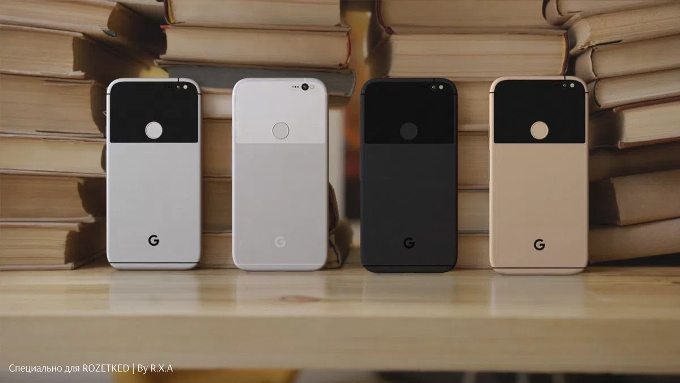 The final design and Colourful Variants is likely to be similar, but we won’t know for absolute certain until Google makes its big announcement. According to AndroidPolice’s David Ruddock, “The Pixels will be the first US devices with Snapdragon 821 by a long shot,” he added. Other highlights of the Pixel and Pixel XL smartphones include 12-megapixel rear-cameras, as well as 5-inch 1080p and 5.5-inch Quad HD display, respectively and latest Android 7.1 Nougat right out of the box with 32GB & 128GB of Storage.